Voyej Leather Goods | End of Year Special: Up to 20% OFF on Selected Items! 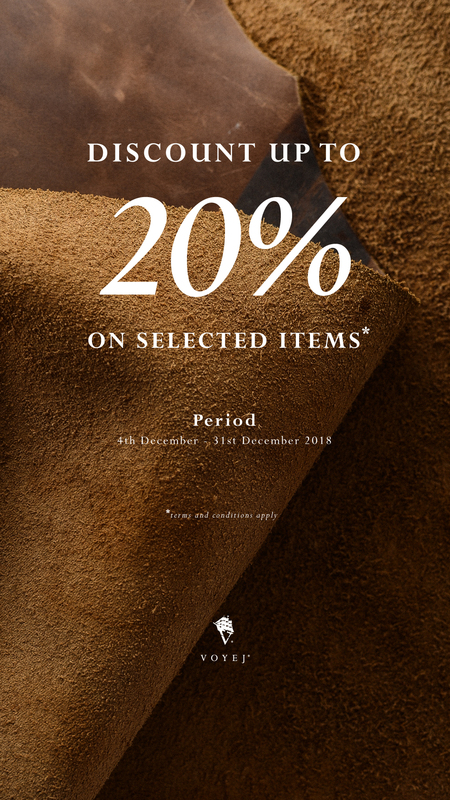 End of Year Special: Up to 20% OFF on Selected Items! This month's deal is special for all of you! We are giving you up to 20% discount on selected items for online purchase through our webstore. Perfect for holiday gifts to your friends, family, loved ones, or even yourself. • This promo valid for all VOYEJ and Viél articles. • Applicable for domestic order (IDR) and international order (USD). • No voucher code needed. The discounted price is directly shown in your shopping cart. • Valid only for online order through our website.